Gardening is relaxing and satisfying and with the Hudson Garden Bed, getting started has never been easier. The well designed Hudson Garden bed goes together in minutes, and because its manufactured with premium materials, youll never need to paint, stain, or do anything more than a quick rinse with a garden hose to keep your Garden Bed looking great year after year; a promise we stand behind with a twenty year warranty. Hudson 4x4 Modular Raised Garden Gardening is relaxing and satisfying and with the Hudson Garden Bed, getting started has never been easier. The well designed Hudson Garden bed goes together in minutes, and because its manufactured with premium materials, youll never need to paint, stain, or do anything more than a quick rinse with a garden hose to keep your Garden Bed looking great year after year; a promise we stand behind with a twenty year warranty. 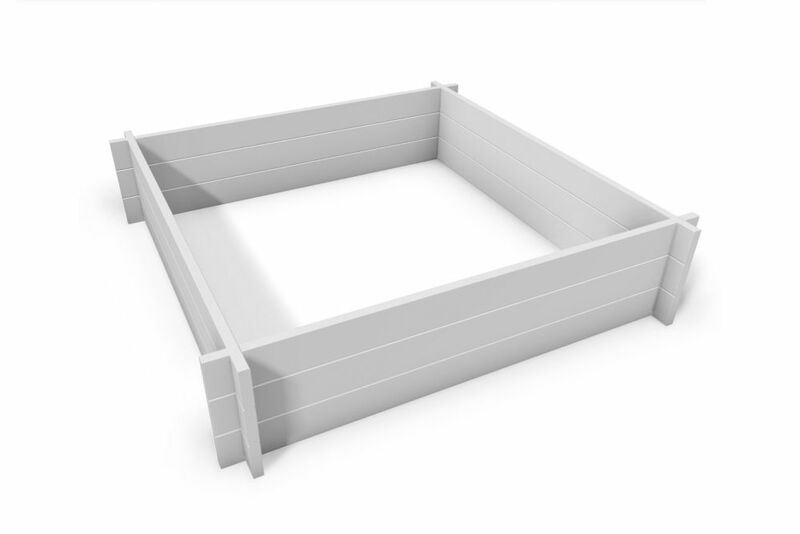 Hudson 4x4 Modular Raised Garden is rated 4.0 out of 5 by 1.